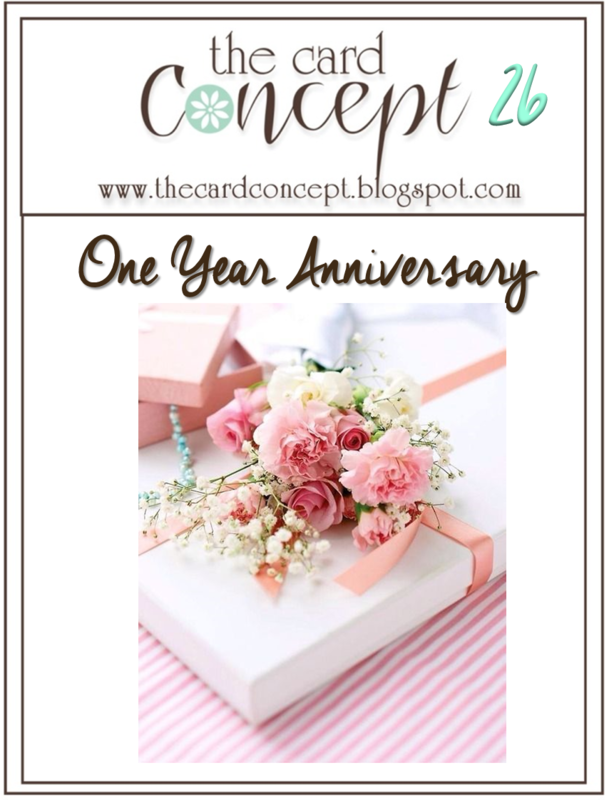 Such a delicate and pretty card! I love how you contrasted the linear lines of the stamp with the floral pattern of the paper!! 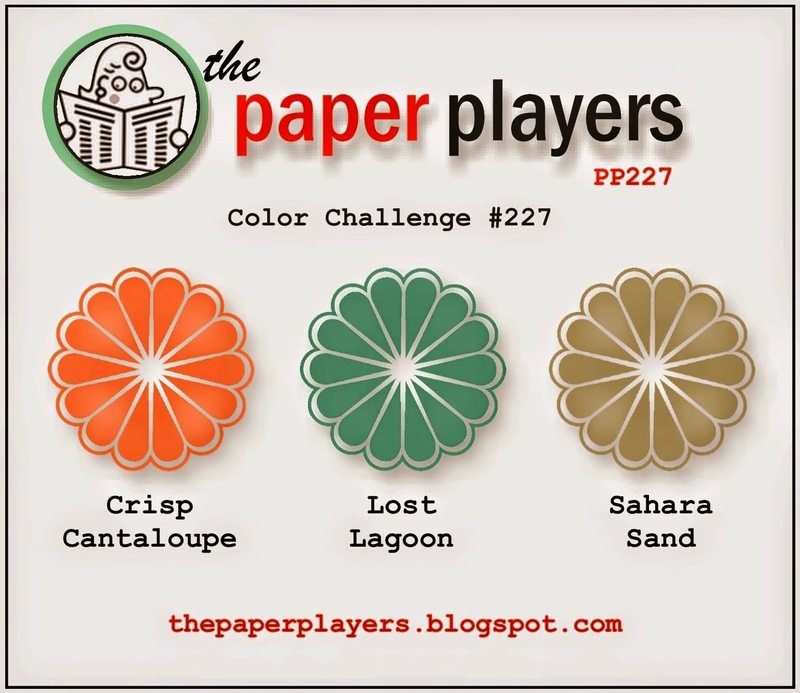 Thank you so much for playing along with The Paper Players! I love the touch of the lace paper! 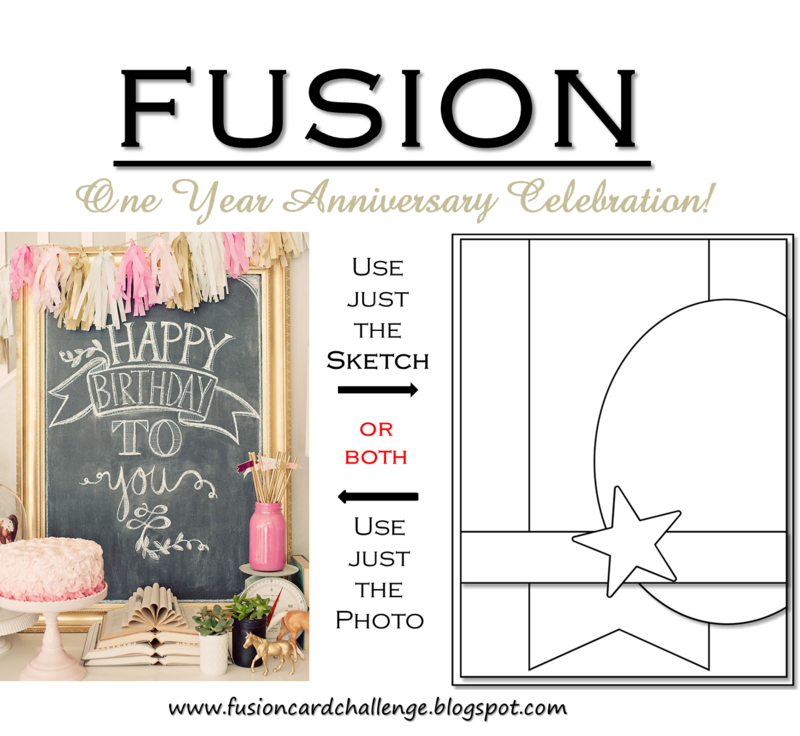 I just bought the SU large Lace stamp, and this is getting me in the mood to use it..when it arrives that is,,LOL!! Thanks so much for joining us to celebrate the FUSION 1 yr anniversary! So happy that you did! This is so feminine and gorgeous! Love the soft pink and delicate doily with the flower. 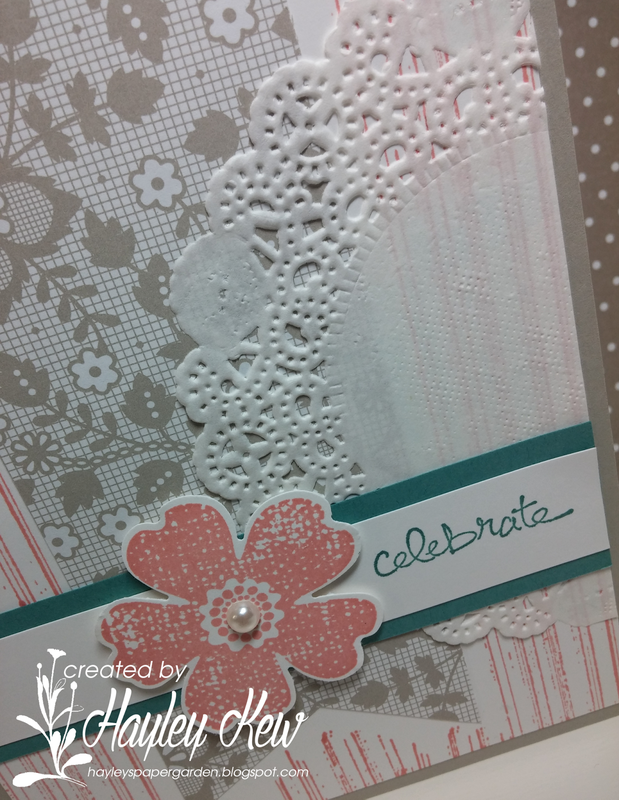 Love how the doily really softens the design ... great use of the colors and sketch ... so very glad you joined us at fusion card challenge. What a lovely way to incorporate these colors! Just beautiful! I love the doily addition! Thanks for playing with the Players this week!